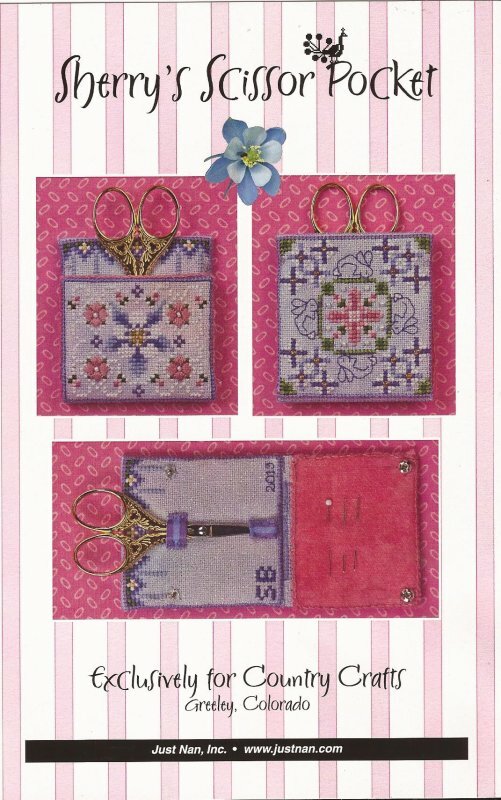 At Country Crafts and Supplies, you will find a unique selection of cross stitch patterns, kits, and more, to meet your creative needs. We carry a variety of designs by the industry’s most popular needlework artists, including Mill Hill, Lizzie Kate, Sue Hillis, and Shepherd’s Bush, to name just a few. Our online store is an extension of our cozy little shop in Greeley, CO. With friendly and knowledgeable service, we are always happy to assist you in any way we can. We strive to provide educational and inspiring materials here to support and encourage you throughout your cross stitch projects, along with custom framing and finishing services to add those special finishing touches to your cross stitch masterpieces! Join us for our First Saturday Luncheon and a Lesson. 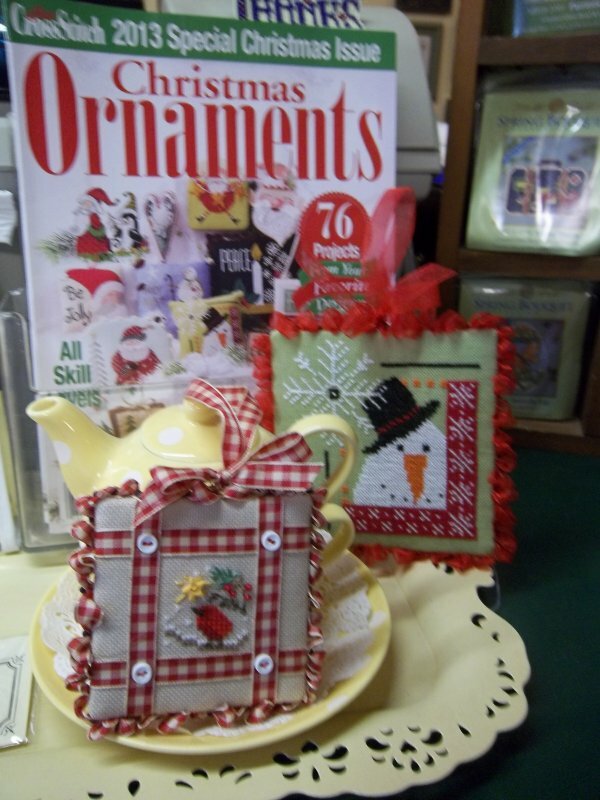 For 2017 we are doing an ornament each month from the 2015 Just Cross Stitch Ornament issue. The kits cost $10.00 each and the Luncheon cost is $15.00. Please RSVP at 970-353-1774. If you cannot make it to the class we have a limited number of extra kits available. Great way to learn new ornament finishing techniques. Celebrating 30 years in business. We are so excited! Just Nan has designed an exclusive scissor/needle case for us. 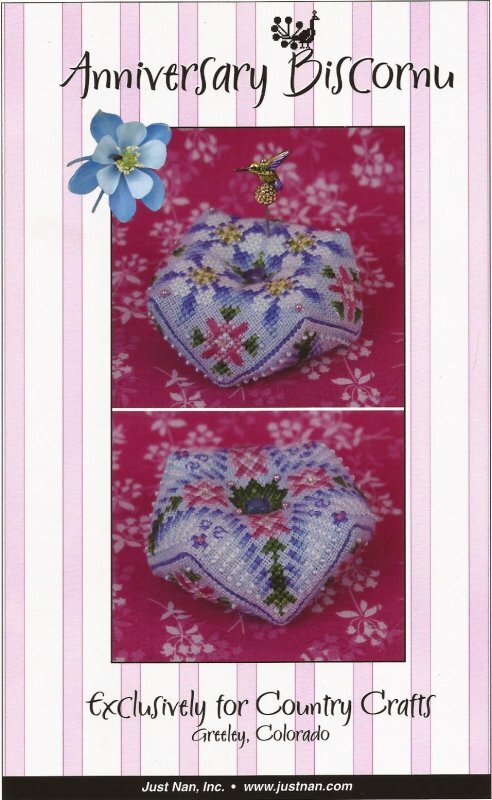 Kit includes pattern, fabric, beads and finishing packet. The kit cost is $20.00. The design uses DMC Floss. Our 25th Anniversary Biscornu is also available for $25.00 if you would like a matching set..